The first Christmas album of the year, Christmas In Dub, has landed, and it sounds a lot like dub. Last Christmas seems only moments away, but that hasn't stopped these four doughty Swiss musicians from decking the halls in their studio, getting the bass speakers to rumble and the loops to trill. In dulci dub jubilo! 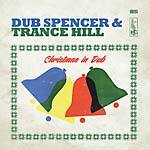 In their low-slung reindeer racing sleigh, Dub Spencer & Trance Hill glide through the night of nights with twelve box-fresh cover versions pumping through their speakers, utterly unafraid of overworking a cliché. Statistically, "love" is probably the most common subject in song lyrics, and many trite lines have been dedicated to it, closely followed by "Christmas". Now, this Zurich/Lucerne collective have lavished their charming, futuristic sound elements on the topic, pounding through this winter wonderland, hovering somewhere between pop, dub and surreal electronics, liberally spiced with retro roots rocker attitude with a lavish scattering of warm analog delay and reverb effects. This album sits skillfully right at the intersection of elevator muzak and elegant dub, and it has a very simple, unpretentious message: Without a groove there's no dub, and no Christmas either. For some of the tracks, it's only the second time round that you realize which Christmas song is being covered. The bass line is crucial, as it is usually the instrument that plays the Christmassy themes. "Never change a winning song", thought Dub Spencer & Trance Hill, instead opting to give these themes a much slacker treatment. The scent of fir branches, incense, the Northern Lights and interesting biscuits comes together with a warm Hammond organ, funky guitars, rich drum grooves and a bass that is practically subsonic to create an intelligent, mischievous and leftfield masterpiece. Following their impressive encounters with artists such as William S. Burroughs, Lee Perry, Dieter Meier, and Ken Boothe, the internationally-lauded Swiss band have now added their idiosyncratic spin on Christmas, treating Santa to a dub makeover with neo-folk collages in reindeer jumpers and minimal dub with space for recorders. Christmas simply couldn't sound any better or more flamboyant! LP version; includes CD. The first Christmas album of the year, Christmas In Dub, has landed, and it sounds a lot like dub. Last Christmas seems only moments away, but that hasn't stopped these four doughty Swiss musicians from decking the halls in their studio, getting the bass speakers to rumble and the loops to trill. In dulci dub jubilo! In their low-slung reindeer racing sleigh, Dub Spencer & Trance Hill glide through the night of nights with twelve box-fresh cover versions pumping through their speakers, utterly unafraid of overworking a cliché. Statistically, "love" is probably the most common subject in song lyrics, and many trite lines have been dedicated to it, closely followed by "Christmas". Now, this Zurich/Lucerne collective have lavished their charming, futuristic sound elements on the topic, pounding through this winter wonderland, hovering somewhere between pop, dub and surreal electronics, liberally spiced with retro roots rocker attitude with a lavish scattering of warm analog delay and reverb effects. This album sits skillfully right at the intersection of elevator muzak and elegant dub, and it has a very simple, unpretentious message: Without a groove there's no dub, and no Christmas either. For some of the tracks, it's only the second time round that you realize which Christmas song is being covered. The bass line is crucial, as it is usually the instrument that plays the Christmassy themes. "Never change a winning song", thought Dub Spencer & Trance Hill, instead opting to give these themes a much slacker treatment. The scent of fir branches, incense, the Northern Lights and interesting biscuits comes together with a warm Hammond organ, funky guitars, rich drum grooves and a bass that is practically subsonic to create an intelligent, mischievous and leftfield masterpiece. Following their impressive encounters with artists such as William S. Burroughs, Lee Perry, Dieter Meier, and Ken Boothe, the internationally-lauded Swiss band have now added their idiosyncratic spin on Christmas, treating Santa to a dub makeover with neo-folk collages in reindeer jumpers and minimal dub with space for recorders. Christmas simply couldn't sound any better or more flamboyant! Originally released in 2008, the songs on Bought For A Dollar, Sold For A Dime are re-recordings of Little Axe's favorite songs. Featuring Doug Wimbish, Keith LeBlanc, and Bernard Fowler (long-standing The Rolling Stones background singer). 180 gram vinyl; Edition of 500. For the first time available on vinyl, three albums by Little Axe originally released CD-only on Peter Gabriel's Realworld label. Little Axe, aka Skip McDonald, started his career in music back in the '70s as a member of the Sugarhill Gang backing band (already with longtime collaborators Doug Wimbish and Keith LeBlanc). Later on, the same musicians got involved with Adrian Sherwood and his much beloved progressive reggae/dub label On-U-Sounds. So far McDonald has released a total of eight albums of his own under the Little Axe moniker. Each of them recorded together with Adrian Sherwood, and each of them based around Little Axe's very own and contemporary version of the blues, combining blues with dub, Cajun and gospel sounds. For the first time, Echo Beach offer vinyl versions of the three albums Little Axe released on the Realworld label in the early 2000s. Echo Beach present the first vinyl issue of Little Axe's Champagne & Grits, originally released in 2003. Champagne & Grits is considered by many to be one of Little Axe's best albums and it features the musicians Doug Wimbish, Keith LeBlanc, and more. 180 gram vinyl; Edition of 500. Echo Beach present the first vinyl issue of Little Axe's Stone Cold Ohio, originally released in 2006. Stone Cold Ohio is another milestone in Little Axe's catalog, once again featuring Doug Wimbish and Keith LeBlanc. 180 gram vinyl; Edition of 500. "The future of blue note... !" Twenty-three years ago, this quotation foretold a great career for Little Axe, aka Skip McDonald. The musician had already had a taste of fame with the Sugarhill Gang backing band / Tommy Boy Cooperations and their hip-hop masterpieces, writing music history along the way. Then he rolled out Little Axe and gave the blues a new, groovy face. Releases on legendary labels like Okeh Records, Realworld, On-U Sound, and majors like Sony, BMG, Warner, etc. followed. On-U Sound label mastermind Adrian Sherwood has always given Skip a platform to present his entrancing blend of blues, gospel, Cajun, dub, and trip hop: pioneering and authentic at the same time. His sound takes the essence and sound samples from blues legends such as Howlin' Wolf, Leadbelly, and Son House and distils them to create musical visions that are both penetrating and highly hypnotic. 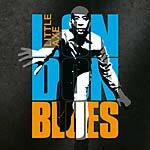 Little Axe has released seven albums to date; London Blues is his eighth official album. Old mates, like Mark Stewart (Pop Group, Maffia), Doug Wimbish (bass player for Living Colour), Keith LeBlanc (drummer), Perry Melius (drummer for African Head Charge) have provided assistance -- and JebLoy Nichols collaborated on writing. London Blues sticks tenaciously to tradition -- to the blues -- but at the same time is infused with a plethora of musical lingos. The new album is packed with songs that glitter and shine with strokes of production genius and imaginative arrangements. On London Blues, Skip McDonald's creative team is even more sophisticated and innovative than on the predecessor albums. Amazing instrumentals ("Be Thankful"), a touch of gospel ("Deep River"), splashes of trip hop with blues harp ("Next Week Thursday"), and Delta blues meets dub ("When I Rise") -- the album meticulously follows a trail between Chicago and London, blending all the stepping stones to form a smooth, irresistible pathway. CD version includes seven bonus tracks. LP version. Includes CD. Even though Ton Steine Scherben never received the international recognition of some of their German contemporaries, the group, founded in Berlin in the late '60s, remains one of the most influential groups from the German counter-culture. In times of krautrock, Kraftwerk, and kosmic music, they combined more traditional guitar-based rock sounds with German protest lyrics that covered a whole range of topics -- often radical and political in the beginning, and quite lyrical and tender in later times. Their singer Rio Reiser also managed a successful German solo career before his untimely death in 1996. The songs and lyrics of Rio and Ton Steine Scherben remain to this day a source of inspiration for fans and current artists in Germany. And their own record label, David Volksmund Productions, remains one of the earliest and still active German independent record labels. The story of how In Dub came into existence goes back about 20 years. Back then, the young Echo Beach label became known for its (still-running) King Size Dub compilation series, which combined dub music from myriads of international collaborators and was sold for a nice and inexpensive price, essentially keeping the interest in all things dub alive. The third volume of that series concentrated on the German dub scene and contained dub -- and reggae -- related songs by some of Germany's biggest artists, such as Die Toten Hosen and Nina Hagen. Another highlight of that sampler was the song "Mole Hill Rocker", a collaboration between Ton Steine Scherben founders Rio Reiser and R.P.S. Lanrue. Ever since then, Echo Beach kept thinking about further collaborations with Ton Steine Scherben. Finally, Echo Beach CEO Nicolai Beverungen and two of his established dub collaborators, Fe Wolter (Di Iries, Dubvisionist) and Alexander Hornbach (Aldubb) got together with Lanrue, this time in order to create dub mixes of songs from all phases of Ton Steine Scherben's career. The group's street-fighting hymn "Keine Macht Für Niemand" gets combined with the rhythm group of Gentlemen's "The Evolution", with additional new guitar sounds by Lanrue and Nina Hagen on background vocals. A love song such as "Wunder" becomes reggae-fied under then hands of Aldubb. Other songs, such as "Filmkuss" and "In Den Tagen" have been completely re-structured at the mixing desk. 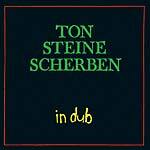 A dub kaleidoscope that combines the essences of both Ton Steine Scherben and Echo Beach. Even though Ton Steine Scherben never received the international recognition of some of their German contemporaries, the group, founded in Berlin in the late '60s, remains one of the most influential groups from the German counter-culture. In times of krautrock, Kraftwerk, and kosmic music, they combined more traditional guitar-based rock sounds with German protest lyrics that covered a whole range of topics -- often radical and political in the beginning, and quite lyrical and tender in later times. Their singer Rio Reiser also managed a successful German solo career before his untimely death in 1996. The songs and lyrics of Rio and Ton Steine Scherben remain to this day a source of inspiration for fans and current artists in Germany. And their own record label, David Volksmund Productions, remains one of the earliest and still active German independent record labels. The story of how In Dub came into existence goes back about 20 years. Back then, the young Echo Beach label became known for its (still-running) King Size Dub compilation series, which combined dub music from myriads of international collaborators and was sold for a nice and inexpensive price, essentially keeping the interest in all things dub alive. The third volume of that series concentrated on the German dub scene and contained dub -- and reggae -- related songs by some of Germany's biggest artists, such as Die Toten Hosen and Nina Hagen. Another highlight of that sampler was the song "Mole Hill Rocker", a collaboration between Ton Steine Scherben founders Rio Reiser and R.P.S. Lanrue. Ever since then, Echo Beach kept thinking about further collaborations with Ton Steine Scherben. Finally, Echo Beach CEO Nicolai Beverungen and two of his established dub collaborators, Fe Wolter (Di Iries, Dubvisionist) and Alexander Hornbach (Aldubb) got together with Lanrue, this time in order to create dub mixes of songs from all phases of Ton Steine Scherben's career. The group's street-fighting hymn "Keine Macht Für Niemand" gets combined with the rhythm group of Gentlemen's "The Evolution", with additional new guitar sounds by Lanrue and Nina Hagen on background vocals. A love song such as "Wunder" becomes reggae-fied under then hands of Aldubb. Other songs, such as "Filmkuss" and "In Den Tagen" have been completely re-structured at the mixing desk. 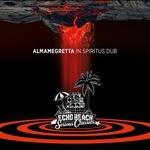 A dub kaleidoscope that combines the essences of both Ton Steine Scherben and Echo Beach. CD version includes three bonus tracks. PERRY & SUBATOMIC SOUND SYSTEM, LEE "SCRATCH"
2018 repress. 41 years later, Lee "Scratch" Perry uses today's sound system to revisit his classic Black Ark album that defined Jamaican dub music, reincarnating the magic for the sound system generation. Big question about it: "How do you improve on a masterpiece?" Lee "Scratch" Perry defined dub music with his seminal 1976 Super Ape album, and he returns with New York City's Subatomic Sound System to conquer again, definitively reincarnating the magic of his Black Ark studio in Jamaica, heavy on Ethiopian horns and percussion, while reinvigorating it with the 21st century booming bass and beats that capture the energy of their innovative live electronic show. Largely known as the mentor to Bob Marley, Perry's influence has transcended reggae. Since 2010, he has toured with NYC's Subatomic Sound System, his go-to band for recreating his Black Ark studio sound live on stage, in new exciting ways as a one-of-a-kind hybrid of beat heavy electronics and live musicians, including original Black Ark studio percussionist Larry McDonald. Subatomic Sound System has been pushing the envelope of electronic music in combination with reggae since their inception in 1999. In dub, Lee "Scratch" Perry is a star at organizing and remixing the music with drum and bass in the forefront and tweaking knobs and faders, adding effects like a jazz improvisation. In the 1970s, the idea of a producer as a star, rather than a singer or musician, seemed crazy, but looking across the world of star DJ producers, he is rightly acknowledged as a visionary as well. There are many stories to be told, but this album follows on the mission of the tour which has the goal of reaching out to old fans and new fans. As sound system culture continues to expand globally with reggae and beyond, these are DJ-friendly heavyweight versions of Scratch material that makes sense in the 21st century. "Scratch" started his music career as a dancer so he loves to get a party started even at 81. The album shows that Scratch was 40 years ahead of his time with Super Ape, and that at 81, he's more relevant to youth culture than ever. The original "Burning Man", "Scratch" was called "the Salvador Dali of music" by Keith Richards and Bounty Killer hailed him as "the greatest Jamaican artist of all time". Features: Jahdan Blakkamoore, Screechy Dan, and Ari Up of The Slits. Includes CD. 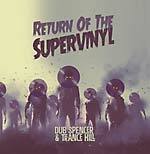 Return Of The Supervinyl is a very selected release with Dub Spencer & Trance Hill tracks that have never appeared on vinyl. Side A presents the most attractive tunes from the legendary album Riding Strange Horses (EB 071CD), a concept album with a cover version. Side B presents tunes from Return of the Supercops (EB 063CD, 2007) and Too Big to Fail (EB 088CD, 2012). The download code included with the vinyl is the cream topping. It's not surprising that Where Blue Meets Green was conceived on a holiday trip to Ibiza. En route, in the plane, the two sound wizards Martin "Ez" Fekl and TC Sunshine sipped cocktails as they planned all the scenarios, dreaming of sunny chill outs on the Balearic island -- inspired by the sound of the Canadian new wave band Martha And The Muffins. They successfully pitched their idea to the original rights owners with a cheeky mix of exuberance and persuasion, and out came a tipsy album that sounds hot, happy, and deep. The air is redolent with the scent of the iconic perfume of the eighties; the beats are sweet and slightly sticky. Above this heady mix float thick layers of edits, bringing everything together in a thick chug of timeless melancholy and the boxy-shouldered charm of the eighties. For example, the distinctive sound of the stick bass, which was incredibly popular with the decade's musicians, including Tony Levin (bass player for King Crimson), and which now forms a vital alliance with the clever, booming new wave pop of Martha And The Muffins. The band from Toronto had a massive hit with "Echo Beach" in 1980. The song was written by Mark Gane, the band's main songwriter at the time, and the infectious melody was made immortal through the vocals of his partner, singer Martha Johnson. The band has had illustrious support from session musicians such as drummer Yogi Horton and bass player Tinker Barfield, who injected a dash of funk into the band's mid-eighties tracks. Three albums were produced by Daniel Lanois and David Lord. Martha And The Muffins' wave pop features impassioned musicianship, punchy riffs, frenetic melodies, and out-of-the-ordinary lyrics, stylishly navigating between personal contemplation and artistic vision. The album WBMG was written and produced over a period of four years, and is based on the oeuvre of the band around Mark Gane and Martha Johnson. It flirts with the idea of being a positive-vibes holiday soundtrack for Balearic, retro, and revival fans with a smattering of eighties style. Anyone who grew up in this decade will have fully absorbed sparkling, funky dance pop and will also appreciate the soulful slow tracks, the grand choruses, and the mantra-like verses. Features a re-edit by Sir Billy. Comes in a digipak; Edition of 777. Tack>>Head have performed hits for millions of music fans. The list of their clients is long, in fact it couldn't be any longer, and it includes some of the most illustrious names around: The Rolling Stones, Seal, Annie Lennox, Madonna, Mick Jagger, Nine Inch Nails, Lauryn Hill, Mos Def, REM, Charlie Watts, Tina Turner, Miles Davis, Peter Gabriel, James Brown, Depeche Mode, Malcolm McLaren, George Clinton, Herbie Hancock, Duran Duran, BB King, The Cure, Donna Summer, Billy Idol, African Bambaata, Tommy Boy Label, Sugarhill Gang Records, and many more. They are more than just highly talented individual artists -- they are absolute luminaries in their field. The New York Times once called them "one of today's most extraordinary rhythm sections." They aren't just musicians, but also producers, remixers, and friends and supporters of fellow musicians. In 2014, they released their last new studio album For The Love Of Money (DR 109B-CD/109LP), an outrageous concept project featuring cover versions of artists who inspired Tack>>Head, take, for example, the reggae covers they picked: "War", "Exodus", and "Black Cinderella" pay tribute to two reggae giants -- Bob Marley and Errol Dunkley -- by getting them "into Tack>>Head shape". Tack>>Head have always been famous for being acerbic commentators of the prevailing political and social conditions, and "War" and "Exodus" are the perfect soundtrack for this mission. Several remixers felt inspired by the original vive and set out to immortalize it, delivering their remix skills to create spiritual interpretations. In fact, some remixes sound better than the original... The top spot of the double CD release is CD one. Tack>>Head opened their treasure vaults and released a bunch of previously unreleased tracks from their creative path between 1985 and 1995. These tracks provide a brilliant overview of their history and creative potential. Tack>>Head's astonishing texture of tone and rhythm attracted a circle of musicians who were the cream of the music business at that time. Raw, unique, fresh, awesome -- a celebration of the bands in an accomplished blend of funk, body-rock, reggae, and dub. Features: Dreadzone, Dubblestandart, Victor Rice, C-Corps Love Fequency, Dubmatix, RSD aka Rob Smith, Jstar, Oliver Frost, Sleet, and Lyta. Comes in a digipak; Limited to 777 paginated copies. iLLBiLLY HiTEC return with One Thing Leads To Another, after their first barn-storming single "Rude Boy Talk", a track that fuses break beat, hip hop, and dancehall, and is a tempting taster of the new album. The band's third album was produced in collaboration with Juno Award winner Jesse "Dubmatix" King in Toronto and Berlin. On the band's third album, the focus is again firmly on an amalgamation of reggae with the genre's elementary electronic facets. iLLBiLLY HiTEC grab reggae by the roots in their inimitable way and build a varied cocktail of roots, digital, hip hop, and dub. The Berlin-based band managed to lure the spearhead of Austrian MC culture, Kinetical, as lead vocalist. There are also many guests, including Lengualerta (Mexico), Horseman (UK), Promoe (Sweden), Gardna (UK), and Parly B (UK) from the international scene, all of whom contributed fantastically skilled flows to the album. One Thing Leads To Another is a mature album that fully deserves a place in the higher international echelons. Also features: Longfingah, Fli Supertramp, EmWan, HanIvan, and Daphne BlueBird. CD version includes two bonus tracks with remixes from Fleck and Dubmatix; Edition of 1000. LP version. Includes CD. Edition of 500. iLLBiLLY HiTEC return with One Thing Leads To Another, after their first barn-storming single "Rude Boy Talk", a track that fuses break beat, hip hop, and dancehall, and is a tempting taster of the new album. The band's third album was produced in collaboration with Juno Award winner Jesse "Dubmatix" King in Toronto and Berlin. On the band's third album, the focus is again firmly on an amalgamation of reggae with the genre's elementary electronic facets. iLLBiLLY HiTEC grab reggae by the roots in their inimitable way and build a varied cocktail of roots, digital, hip hop, and dub. The Berlin-based band managed to lure the spearhead of Austrian MC culture, Kinetical, as lead vocalist. There are also many guests, including Lengualerta (Mexico), Horseman (UK), Promoe (Sweden), Gardna (UK), and Parly B (UK) from the international scene, all of whom contributed fantastically skilled flows to the album. One Thing Leads To Another is a mature album that fully deserves a place in the higher international echelons. Also features: Longfingah, Fli Supertramp, EmWan, HanIvan, and Daphne BlueBird. LP version. Includes CD. Limited numbered edition of 500. The Swiss musicians, Dub Spencer & Trance Hill, bow down low before space rock, but without bypassing pure dub. Deep Dive Dub shines with a precision that demands they be named in the same breath as the famous Swiss watches. Swiss timepieces are renowned for their precision, and they tick along nicely even under water - The mechanics, the cogs, the striking mechanism, the chronograph movements, the repeaters, the speed-up. Thank Dub Spencer & Trance Hill for the fact that the cantons of this maximum-precision country should produce ultra-chilled slo-mo dub like this, a style that has avid fans all over the world. The band are known for the formidable interior dynamism of their composition skills, their classic riddim craftsmanship, the psychedelic sound of their guitars, the pounding bass lines that approach infrasound levels, the space sounds and their grandiose sound dimensions. 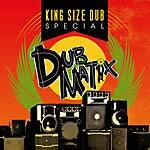 Like few other electronically influenced styles, over the years dub has shown itself impervious and resistant to all manner of short-lived trends. There are probably few people who - regardless of which music ghetto they inhabit - have not encountered dub at some point. On Deep Dive Dub, the band dives deeper than Jaques Piccard's team during their record-breaking dive in Trieste in the sixties. The focus of this repetition is the fusion of reggae, even though, instead of the lightness that is usually inherent in reggae, the album focuses on heavy grooves, grooves that drift off into fat, dark, mature places. With a hypnotic power, the musicians - all of whom are trained jazz instrumentalists - dive into a world of space-rock-dub-electro. On a couple of the tracks the band invited the Lucerne-based experimental vocalist Bruno Amstad (who has previously worked with John Zorn and Phil Minton) to contribute. Neither a slave to the great Jamaican heroes of the seventies nor lost in the great wide world of electronic dub, Dub Spencer & Trance Hill tread their own path, reducing and abstracting as they dive deeper and deeper. The Swiss musicians, Dub Spencer & Trance Hill, bow down low before space rock, but without bypassing pure dub. Deep Dive Dub shines with a precision that demands they be named in the same breath as the famous Swiss watches. Swiss timepieces are renowned for their precision, and they tick along nicely even under water - The mechanics, the cogs, the striking mechanism, the chronograph movements, the repeaters, the speed-up. Thank Dub Spencer & Trance Hill for the fact that the cantons of this maximum-precision country should produce ultra-chilled slo-mo dub like this, a style that has avid fans all over the world. The band are known for the formidable interior dynamism of their composition skills, their classic riddim craftsmanship, the psychedelic sound of their guitars, the pounding bass lines that approach infrasound levels, the space sounds and their grandiose sound dimensions. 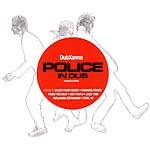 Like few other electronically influenced styles, over the years dub has shown itself impervious and resistant to all manner of short-lived trends. There are probably few people who - regardless of which music ghetto they inhabit - have not encountered dub at some point. On Deep Dive Dub, the band dives deeper than Jaques Piccard's team during their record-breaking dive in Trieste in the sixties. The focus of this repetition is the fusion of reggae, even though, instead of the lightness that is usually inherent in reggae, the album focuses on heavy grooves, grooves that drift off into fat, dark, mature places. With a hypnotic power, the musicians - all of whom are trained jazz instrumentalists - dive into a world of space-rock-dub-electro. On a couple of the tracks the band invited the Lucerne-based experimental vocalist Bruno Amstad (who has previously worked with John Zorn and Phil Minton) to contribute. 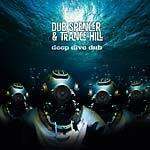 Neither a slave to the great Jamaican heroes of the seventies nor lost in the great wide world of electronic dub, Dub Spencer & Trance Hill tread their own path, reducing and abstracting as they dive deeper and deeper.